I was searching for Sitecore page/request lifecycle explanation step by step, but didn't find any article that contains full information. 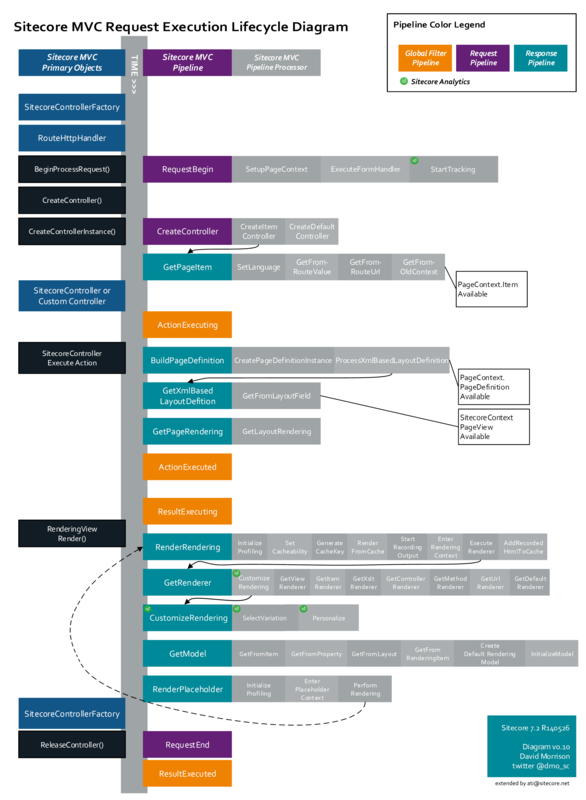 Please help me to get full information on a Sitecore page lifecycle where all the events and pipelines are explained and how a URL connects with a Sitecore item and then render all the components? It is too much information to provide in one answer or one article. Diagram is actual for Sitecore 7. But in a way, how page is rendered, not too much changed in Sitecore 9. So, it can be good starting point. Processor and pipeline names are quite descriptive to understand what they do. To get deep knowledge you can go through them one by one to understand what exact happens inside. It gives an overview of the pipelines and pipeline steps. Some are already linked to detail pages (still some work to do to get full coverage but that is a lot of work). I found this article very helpful when I need to figure out where to place a customization in the request process. More general information on a few commonly used pipelines can also be found on the CommunityDocs. MVC specific pipeline information can be found on the official docs. Not the answer you're looking for? Browse other questions tagged information-architecture or ask your own question.